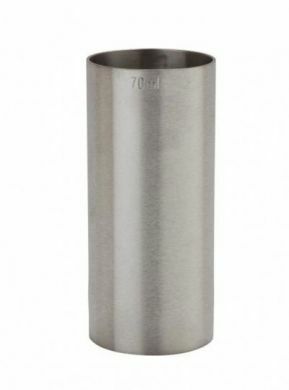 70ml thimble measure this professional quality stainless steel is CE marked for use in licensed establishments. Ideal when serving spirits at the bar or at home, this measure is best used in combination with a pourer for mess free service. CE marked to verify a legal measure in the UK. Ideal for use with shot rails.